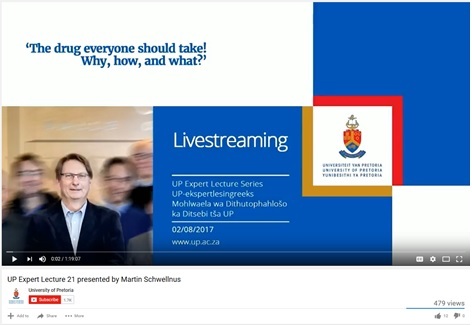 The Vice-Chancellor and Principal of the University of Pretoria, Prof Cheryl de la Rey, invites Prof Martin Schwellnus to present the 21st lecture in the prestigious UP Expert Lecture Series. Non-communicable diseases (NCDs) are responsible for >65% of all deaths worldwide. NCDs are also of pandemic proportions in Sub-Saharan Africa (SSA) and South Africa (SA). >80% of the NCD deaths are as a result of four disease groups: heart and blood vessel disease, cancers, diabetes and chronic lung disease. Tobacco use, harmful substance abuse, being sedentary, and unhealthy diets are the main risk factors responsible for abnormal changes in the human body that cause NCDs. These abnormal changes in the body are a raised blood pressure, being overweight/obese, a high blood sugar level, and abnormal fat concentrations in the blood. Scientific studies identified that there is one “drug” that positively alters all the abnormal changes in the body that are associated with NCDs, and therefore reduces the risk of dying from an NCD by 35-50%. This is a drug that everyone should take! Come and join a discussion on the why, how and what of this “wonder” drug. 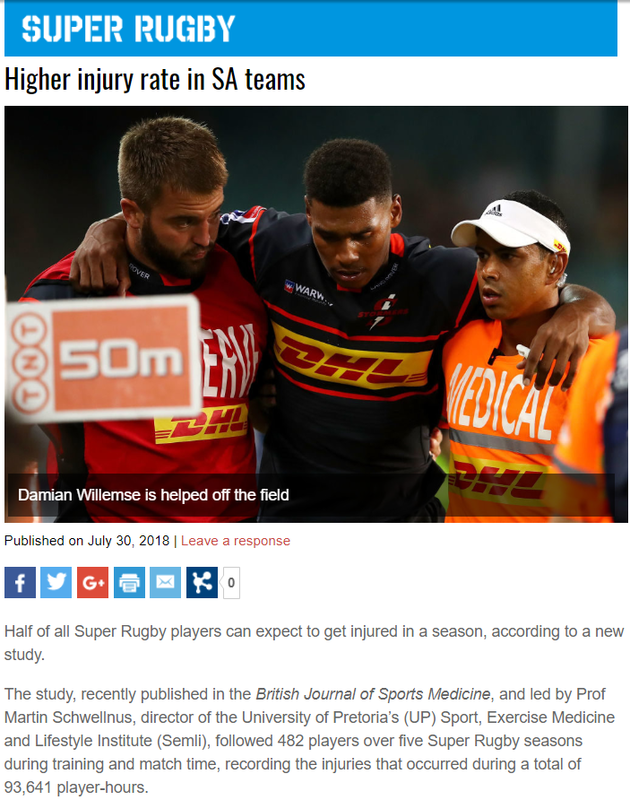 In 2015/2016 research activities at the Institute focused on injuries and illness in sports, generating publications investigating the epidemiology of injury and illness in select sports, as well as investigations into the risks of injuries. Researchers contributed to studies on concussion in sport (in areas such as the diagnosis of concussion and return to play protocols after concussion), as well as the prevention and management of sudden cardiac arrest in sport. 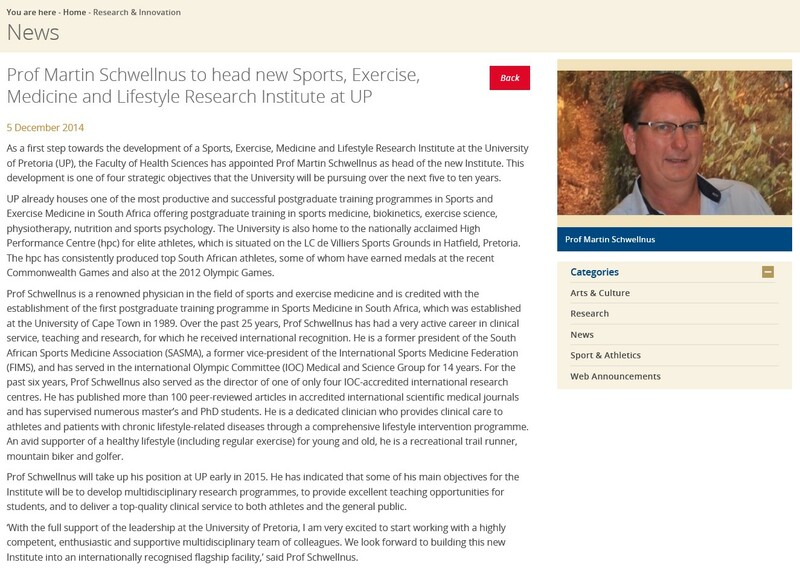 The Institute was also represented on a consensus committee convened by the International Olympic Committee, chaired by Professor Schwellnus. 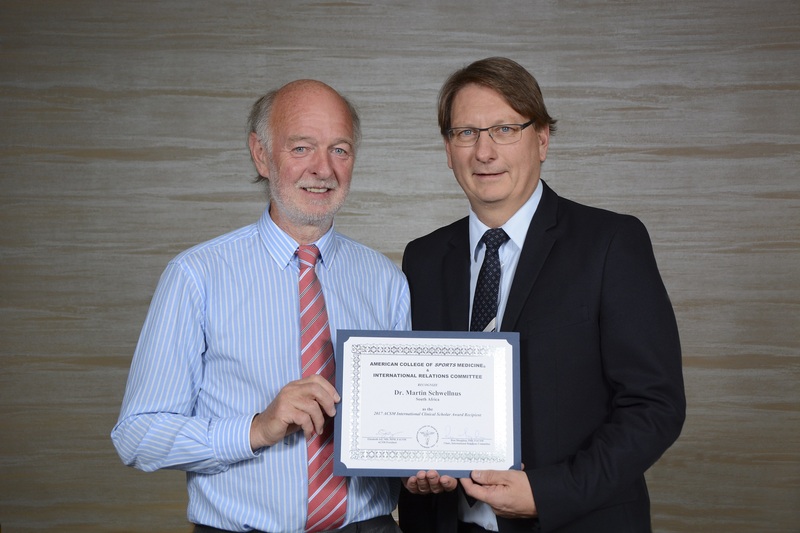 This expert group produced two IOC consensus statements published in a special edition of the British Journal of Sports Medicine to coincide with the 2016 Rio Olympic Games. They reviewed the scientiﬁc evidence for the relationship of load (including rapid changes in training and competition load, competition calendar congestion, psychological load and travel) and health outcomes in sport, and provided athletes, coaches and support staff with practical guidelines for appropriate load management to reduce the risk of illness, injury and overtraining. How much is too much? 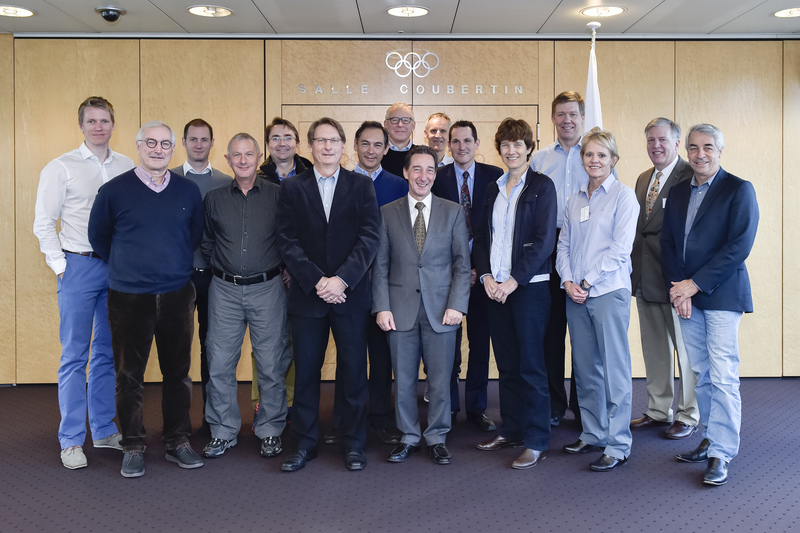 (Part 2) IOC consensus statement on load in sport and risk of illness.